After extensive calculations with multiple renderings, a new state-of-the-art LED lighting system was specified to transform the beautiful architecture at night. The hospital wanted this atrium to be the hub of the building; a comforting place for the patients to spend time in and relax. 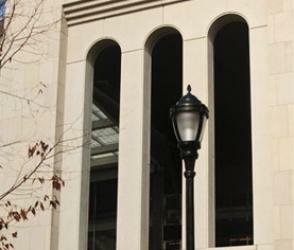 The custom designed Sentry lighting contributes to Yankee Stadium’s tradition of excellence. The stadium is equipped with luminaries, poles, signage, and custom metal accessories. 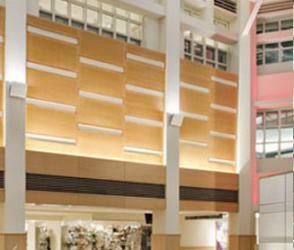 We represent over 80 manufacturers of architectural, commercial, and residential lighting. Our full service lighting controls department is available to help with design and layout support. We carry an extensive inventory of samples, making it easier to choose the correct fixture for the job. Using visual and AGI32 software, we are able to provide precise calculations of your projects. We also offer local support, should you have any questions. Our company showcases a 100% LED lit conference room complete with nLight controls, making it the perfect environment to demo our products to your clients. 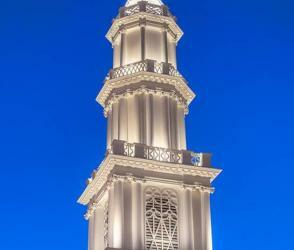 I have used Lighting Affiliates on a number of projects with very successful outcomes. I truly appreciate the insight, creativity, and knowledge the LA team brings to the design process. Everyone with whom I have worked is responsive, thorough, and professional; their level of service is second to none. I really appreciate Lighting Affiliates attention to detail and commitment to providing a quality project.